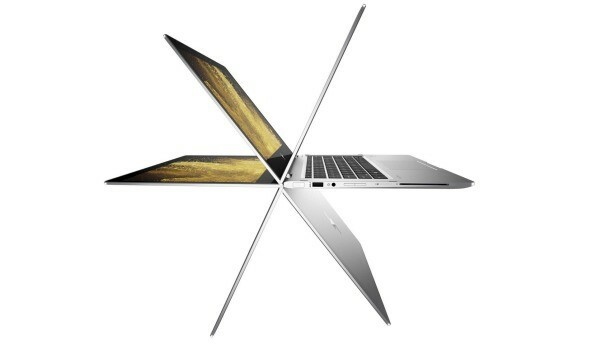 This Blog will look at the HP EliteBook X360 Notebook which incorporates some of the latest hardware with an innovative and unique design. This device is an all-in-one capable of meeting and exceeding personal and business expectations. -This device is convertible into 5 different available modes. Along with the ‘Laptop’ and ‘Tablet modes’, you can also flip the screen 300-degrees into tent mode. -Furthermore, ‘Media’ optimises focus onto the screen for streaming services and provides enhanced visual quality. -Additionally, the ‘Conference’ mode has the screen at an 180-degree angle for project and business use. -HP’s Active Pen is a solid stylus with 2 buttons on the side and 1 on top. With the ones on either side, they act as left and right click buttons and the top can be customised with Windows Ink to be used as an eraser. Intel i5-7200U Processor (2.5GHz), Also, its speed can increase up to 3.5GHz. Intel HD Graphics 620 to help with the visual definition. The operating system used is the Windows 10 Pro 64. Maximum 16GB memory with total storage at 256GB. Full HD screen with a display resolution of 1920 x 1080 pixels, aspect ratio 16:9. Very thin, and mobile at 31.70 x 21.84 x 1.50cm (Width x Depth x Height) weighing 1.28KG. The battery life on this 2-in-1 is approximately 9 hours and 17 minutes. You can find this Notebook on the product page here, meanwhile, you can see our other Blogs with some products available to you now. You can see our other Blogs by looking at each category from the Home Page. Furthermore, to keep up to date with our latest promotions and offers, you can see our social media links below with the Facebook and Twitter page linked below.